Indeed, water is life. The benefits of taking water are numerous. Water is especially important because most activities in our bodies cannot occur without it. For example, digestion can only occur in the presence of water. Also, water is used to transport various nutrients and other molecules all over the body. Without water, all living organisms would cease to exist. Having said that, we should be careful of what kind of water we consume. While water is very beneficial to our bodies, drinking impure water can have very adverse effects on our health. Many people choose to use an under sink filter to make sure that the water that comes out of their sinks is pure. This is a wise move because it ensures that the household consumes clean water, free of pathogens and other impurities. So what are the exact health benefits of using filtered water? Whenever water is obtained from a particular source, it is often treated with chlorine to make it fit for human use and consumption. The chlorine helps kill any germs that may be present in the water. You may view this as a good thing. However, continuous consumption of water treated with chlorine might have adverse effects on one’s health. Chlorine is a chemical that has been linked to diseases such as cancer. Cancer is often a devastating disease, as it weakens the entire body, and it is very difficult to treat. To avoid all this, it is wise for you to filter the water you use. This will remove chlorine from the water, making it healthy for you and your family as well. You will also avoid any diseases that may occur as a result of taking chlorine in your water over a long time. Unfiltered water contains many toxins, some of them unidentified. When we take this water, these toxins end up in our digestive systems. The lining of the digestive tract is very sensitive to such foreign substances, especially if they are pathogens. When the lining is disturbed, we may experience poor digestion. This can result in a number of problems. First, poor digestion will prevent our bodies from absorbing nutrients from the food we eat. This builds up to cause malnutrition in our bodies. When we lack certain nutrients, our bodies do to function at their optimum. Poor digestion is also bound to cause us discomfort. The discomfort may be in the form of flatulence or even diarrhea. All in all, the best option would be filtering our water before we fetch it from the tap. This way, we can avoid interfering with our digestive processes. The water in our houses comes from a wide variety of sources. For example, the water could be sourced from a borehole, a river, a reservoir, a lake, or other kinds of water bodies. Before the water reaches these bodies, it often runs on the ground or within in, collecting various substances as it moves. Some of these items collected are rocks, soil, and other particles that can be removed from the water before it is pumped into the house. However, others are microscopic pathogens which are too tiny to remove from the water before it reaches the tap. If the water is not filtered before drinking, or cooking, or any other similar use, the pathogens will end up in our foods and our bodies. These germs could give us disease infections. Filtering the water is a good method of preventing these micro-organisms from ruining our health and that of our loved ones. Water in our homes is used for a very large number of activities. All these uses eventually affect our health in one way or another. For instance, the kitchen surfaces are used for preparing food. Whenever we wash our hands, we end up coming in contact with our food later. Our plants are also affected by the water we use on them, and how they develop will depend on whether the water was free of harmful chemicals or not. If we use contaminated water to carry out all these activities in our homes, our environment will not be a safe place to work in. Food cleaned with impure water might have pathogens on it, which may not be destroyed even after cooking the food. The pathogens could make our families unwell, especially if there are any children living in the house, seeing as their immune systems are usually weak. The plants watered using unclean water could also accumulate toxic chemicals within them, and eat these foods could be harmful to our health. To avoid all this, filtering the water we use in the home is a very important endeavor. Taking clean water is good for our bodies, not only internally but even on the surface. A diet with enough water is important if we want to make sure that we keep our skin moisturized and glowing. Water is also good for the hair because it keeps the scalp from drying up. If we take unfiltered water, the toxins in it could affect how our bodies look. Water with chemicals could result in dry and unhealthy hair or skin. For the benefit of a good-looking body, it is important to make sure that the water we use is filtered and does not contain harmful chemicals. Water is very fundamental to our lives and other household activities. We cannot do without it. Despite that, it is vital to make sure that the water we use is pure, otherwise, it could end up harming our bodies instead of benefiting us. 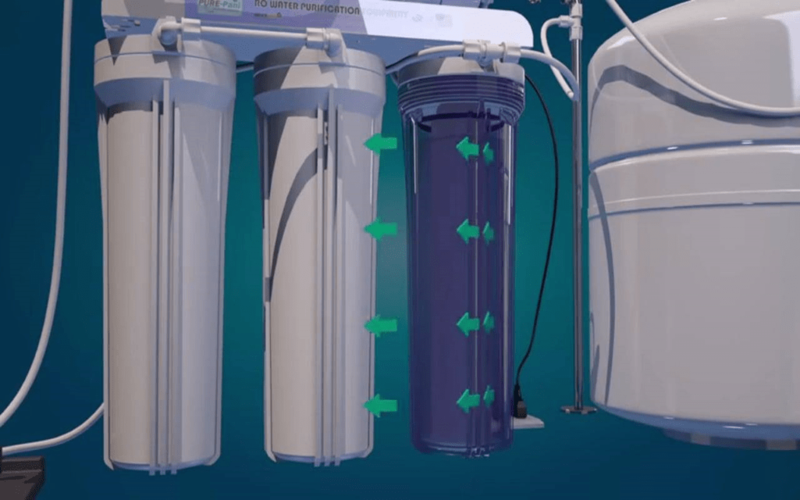 An effective way of making sure our water is pure is passing it through filters so that any harmful chemicals and organisms are removed before use. If you want a cheaper way of getting filtered water in your home, you can install under sink water filter. This will save you a lot of money as compared to buying filtered water.